C.J. Chenier played the Dream Nite Club in Ann Arbor, MI, on Saturday, February 26, and sadly there wasn’t much of a crowd there to enjoy his music. I was honored that my band, Maison Bleue, got to play a 30-minute opening set before C.J. went on stage with his band, and it was nice to hear that C.J.’s rubboard player, Clifford Alexander, really liked our set! The Dream Nite Club is set up nicely for dancing–it just needed some more zydeco dancers to crowd the floor! At least everyone who was there looked like they were passing a good time. Anyway, the Dream Nite Club is hosting a Mardi Gras party on Friday, March 4, with local band Creole du Nord. Y’all should go and check that out. 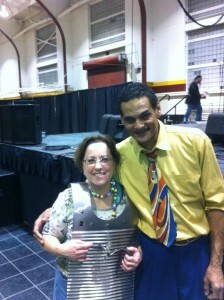 Update: Maison Bleue’s frottoirist, Mary, got to play a couple of tunes with the Red Hot Louisiana Band. Thanks to MB’s guitarist Kip Godwin for the cellphone picture of Mary on stage with CJ. Tonnerre mes chiens! 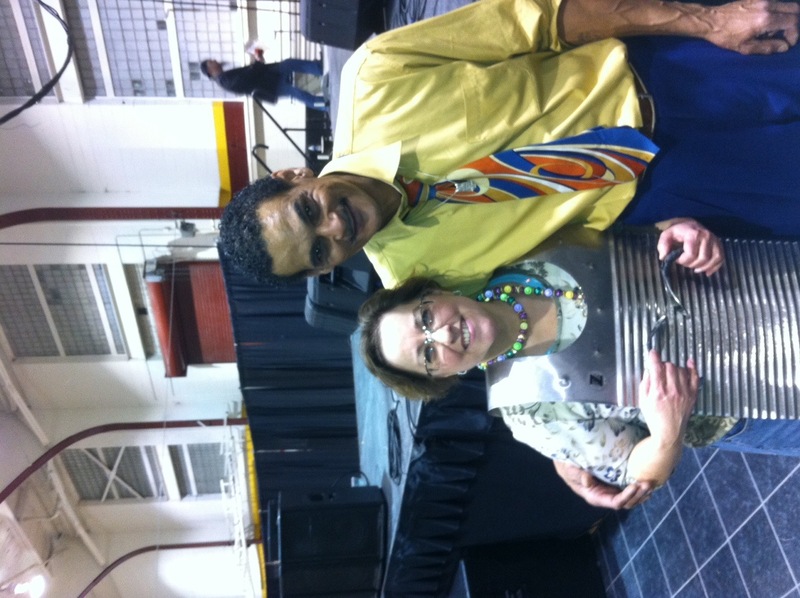 It’s zydeco and Cajun music feast time in southeastern Michigan the weekend of February 25/27. Friday, February 25 gives dancers (or just listeners) a choice. If you’re near Ann Arbor (or maybe not so near) go and check out local band Creole du Nord as they play at The Ark. It’s a benefit for BreakFast 2011, for the St. Andrews Church breakfast program. The Ark is at 316 S. Main St. in downtown Ann Arbor. Tix are $30, doors open at 6:30 pm, show starts at 7:00 pm. There are other (non-CZ) acts appearing, too. Info: 734-761-1800 (days), 734-761-1818 (evenings). Or, maybe you’re closer to Hamtramck on the 25th. 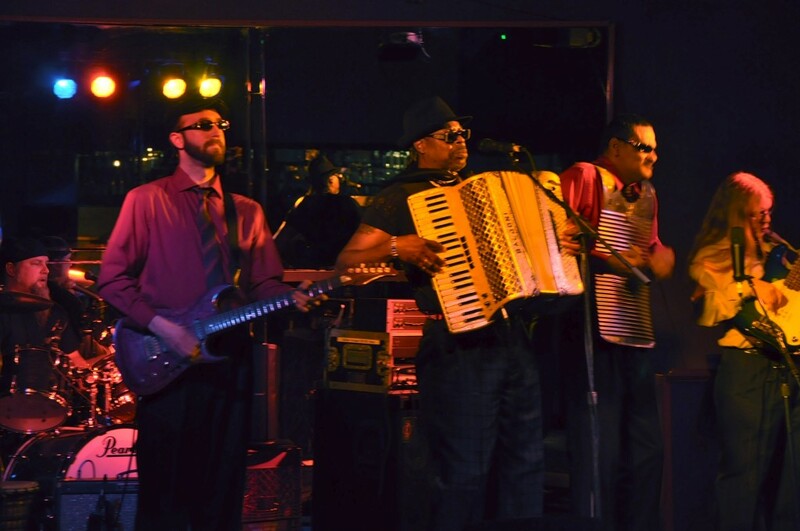 If so, head on over to Kelly’s Bar & Grille at 2403 Holbrook St for a Mardi Gras party with Monsieur Guillaume & His Zydeco Hepcats. Showtime is 9:30 pm, and there’s no cover charge. Traditional New Orleans style food is on the menu for his party, not to mention party favors and dancing! Info: 313-872-0387. Then on Saturday, February 26, it’s time to head on over to Ann Arbor for sure as C.J. 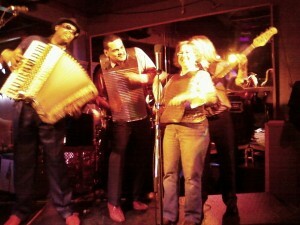 Chenier & the Red Hot Louisiana Band rocks zydecos (or would it be zydecoes?) the Dream Nite Club at 314 S. Fourth Ave. in downtown Ann Arbor. Tix are $25 at the door (rumor is they may only be $20, the advance ticket price, at the door), and doors open at 8:30 pm. Local band Maison Bleue (humorously renamed Maison Bleue–the Ice Cold Michigan Band just for this gig due to the recent cold & snowy weather in southeast Michigan) open with a 30-minute set at 9:30 pm. Large dance floor. Info: 734-222-4522. Finally, on Sunday, February 27 you can go and catch Creole du Nord at the Passport Restaurant & Lounge at 3776 S. State St. in Ann Arbor. CdN plays from 6 to 8 pm, a great time to do some dancing along with eating dinner. They’re also playing at the Passport on March 6, 13, 20, & 27, and on April 17. The Passport seems to be trying to promote lots of different kinds of dancing, so keep encouraging them in that direction! 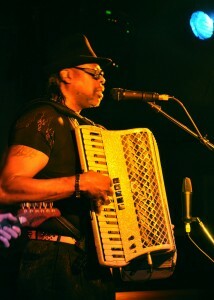 Answer to previous trivia question: Both Buckwheat Zydeco (aka Stanley Dural, Jr.) and C.J. Chenier played in Clifton Chenier’s Red Hot Louisiana Band, although at different times. Kip provided a few more details with his comment to that particular post in which that trivia question was posed. Aiyeeee!!! The Wheatland Music Organization has their annual Mardi Gras party on Saturday, February 19, with local Cajun music band Back Bayou providing the tunes. Yes, we know Mardi Gras is really on March 8 in 2011, but since folks can celebrate other holidays more than once (witness “Christmas in July”) they can also celebrate Mardi Gras more than once a year. Any excuse to party is a good excuse, especially if it’s to good Cajun or zydeco music, n’est-pas? Anyway, the dance party is in the Gladys Wernette building on the grounds of the WMO, located at 7251 50th Avenue, Remus, Michigan. It’s about 20 miles west of Mt. Pleasant. There’s a potluck dinner at 6:00 pm, followed by the dance at 7:30. Don’t forget to wear your Mardi Gras costume! Info: 989-967-8879. Heeeeeeeeyyyyyyyyy, Baby! 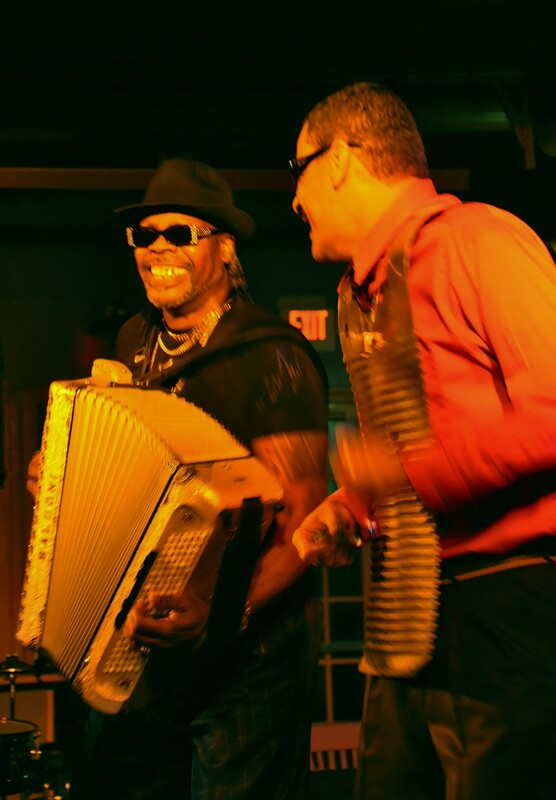 The next week or so is a good time to listen to zydeco music in the Ann Arbor, Michigan, area, as Buckwheat Zydeco and C.J. Chenier (more about C.J. in just a bit) both visit tree-town. Buckwheat Zydeco - Lay Your Burden Down - Grammy winner! Stanley “Buckwheat Zydeco” Dural, Jr., plays The Ark in A2 (that’s slang for Ann Arbor, for those who may not know) on Wednesday, February 16. Doors open at 7:30, showtime is 8:00 pm. Tickets are $20. As far as I can recall, this is the first time The Ark has hosted a zydeco act, although they have had Cajun music acts previously. BTW, The Ark is at 316 S. Main St. in A2. Info: 734-761-1800/734-761-1451. On February 26, C.J. 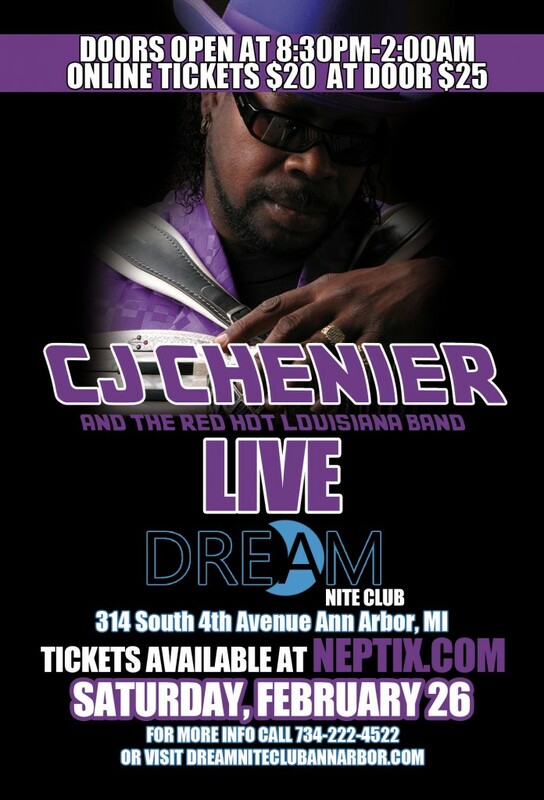 Chenier & the Red Hot Louisiana Band come to Ann Arbor to play at the Dream Nite Club, 314 S. Fourth Ave. Doors open at the Dream Nite Club at 8:30 pm on February 26, show starts at 9:30 pm with local band Maison Bleue playing a 30-minute set, followed by C.J. Chenier. Tickets are $20 in advance, $25 at the door. Info: 734-222-4522. Creole du Nord also plays The Ark on February 25, but that’s for another post.